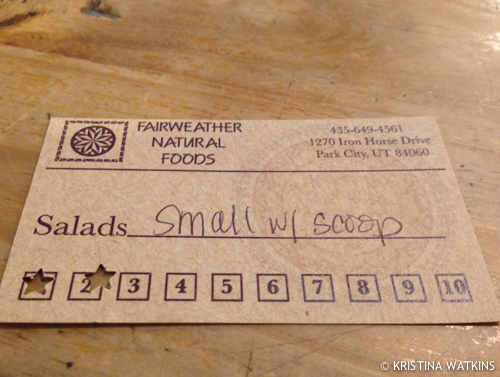 So while I work on my rundown of everything cool I saw yesterday on Open House tour, and because it’s lunchtime and that’s all I can think about, I thought you’d like to see one of the places the locals go for a cheap, healthy lunch: Fairweather Foods. 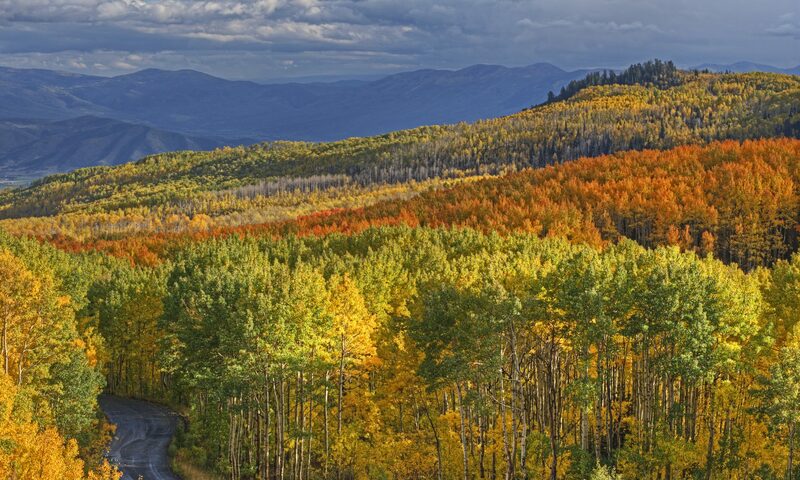 It’s over in the Prospector area of Park City, over by Windy Ridge restaurant and bakery and a bit more over from the Boneyard bar. 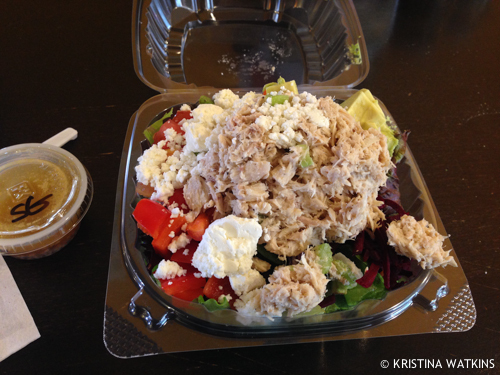 When you go, walk to the back cafe counter and order this: it’s a small salad with a scoop of tuna salad. The salad is made to order, and is extremely fresh. Pre-made salads with old sour lettuce are one of my pet peeves, and I find I’ll go hungry over buying one, so to find a place like this is everything. What they put on top of the lettuce is CRAZY; depending on what they have usually it’s avocado, feta cheese, grated raw beets, tomatoes, cucumbers, carrots and red peppers. Tuna isn’t my usual salad addition but this mix is very nicely seasoned. All of this with tax is like 7 bucks. The key to this salad though is get the sesame ginger dressing and salt it. That’s right, SALT YOUR SALAD. Try it now, thank me later. Definitely get one of their frequent eater punch cards because you will be back. 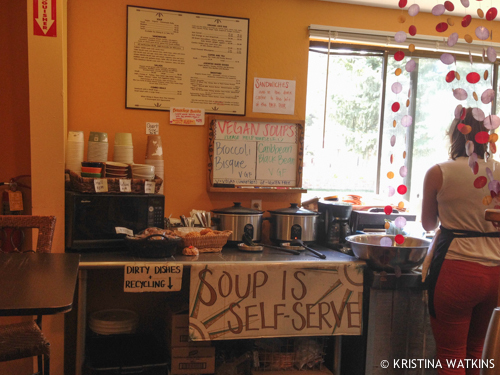 There are more adventurous menu items, like sandwiches and vegan soups. For lunch though, all I really want is a nice fresh salad chock full of stuff, so that’s as far as I’ve branched out. 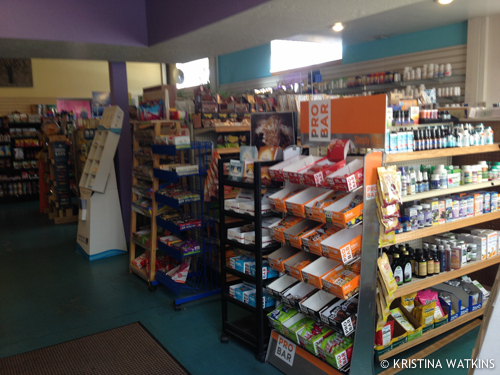 It’s a health food market, so a good place if you’re looking for a specialty food item, natural remedy or skin care. 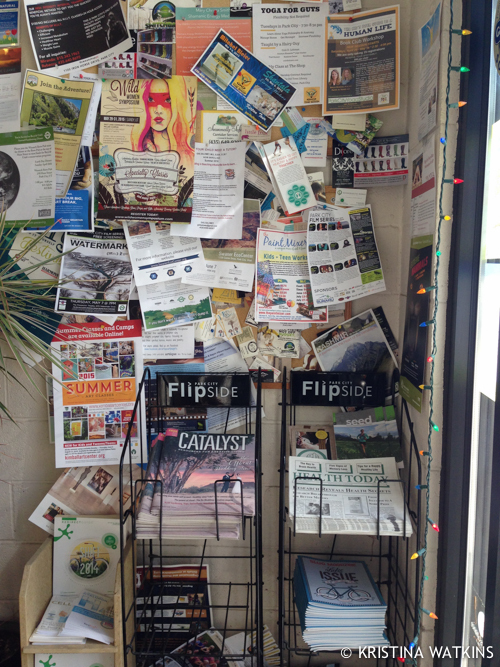 And of course there is the compulsory overstuffed bulletin board and free newsletter stands. Seriously. 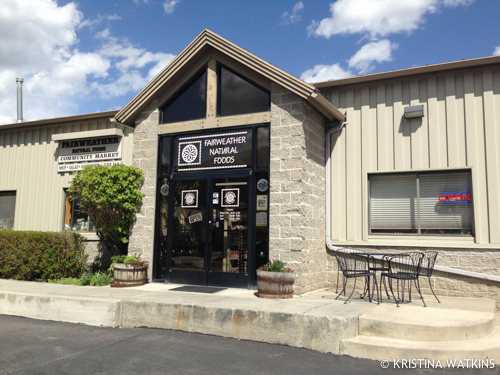 I think when you go to get a business license and you say you want to serve fresh organic food and specialty natural products they must hand you a starter kit because I’ve never seen a store like this without one (and I love it). Love this!! And you just never know who you’ll be in line with at Fairweather; I wasthisclosetoJames Franco in January!! What! I’ve only ever seen every other Realtor ever in there, no celebs. I did see the guy from JAG once at Dan’s though.